Christmas is an exciting time of the year. 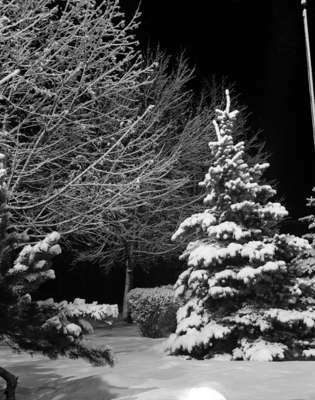 Many of us decorate a Christmas tree, share a big meal with family and friends, build a snowman, sample the cakes, cookies, and other sweets of the season, and, when it's not too cold, we enjoy being outside and taking advantage of all that winter has to offer. Many of these holiday traditions, however, are based on legends and ancient festivities that date back to a time long before Christmas was ever known as Christmas. 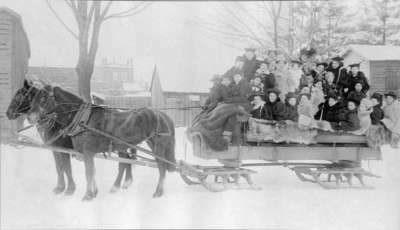 Have a look at some of the photographs in the Whitby Archives and learn a little about the history of some of our most treasured Christmas traditions. The ancient Roman festival of Saturnalia honoured the god of the harvest and agriculture, Saturn. It was celebrated from 17-25 December and it involved a reversal of social roles in which the lower classes switched places with the upper classes. People also dressed up as animals and paraded through the streets as it was believed that the evening of 25 December was a magical time when animals could speak. Modern Christmas seems to have retained some of the magical atmosphere of Saturnalia. Some people believed that at the stroke of midnight on Christmas Eve, farm animals could speak to each other. Indeed, Christmas Eve is a wondrous time and children of all ages use their imaginations to conjure up visions of Santa, reindeer, and sugar plum fairies.